It is that time already. Two weeks on from the season-ending Tour Championship, and one week removed from this year’s Ryder Cup, the 2018/19 PGA Tour season begins. As has been the case over the past few seasons, we begin with a trip to Napa, California for the Safeway Open. Since 2016, when this event changed title sponsors from the Frys.com Open to the Safeway Open, there has only been one winner. Brendan Steele has won the last two renewals of this event, and will be looking for the three-peat this year, and his fourth overall PGA Tour win. Brandt Snedeker, Patrick Cantlay and Phil Mickelson are the star attractions in the field this week, but the latter is coming in off the back of a disastrous Ryder Cup, so it will be interesting to see what level of performance he puts in. Mickelson has finished 8th and 3rd here in the last two seasons, his only efforts, but finishing dead last at the Tour Championship, followed by a lacklustre performance in Paris, may have taken its toll. This event is a good chance for recent graduates to get acclimatised to life on the PGA Tour, whilst many of the game’s best players take a week to wind down. Not the longest nor the toughest course the players will see on Tour this season, there is ample opportunity to score on this tight, parklands style course. The fairways average in width and tree-lined, the focus off the tee will not be distance, but accuracy in order to give them a better shot at finding these Poa Annua greens. Since this event moved to Silverado Country Club in 2014, the winning score has three times been 15-under-par and once 18-under-par (2016), so almost 16-under-par will be the target this week. There is also never a runaway winner at this event, let alone at this course, with two strokes the largest margin of victory since 2007. Steele and 2014 winner Sang-Moon Bae both won by two shots at this course, but Steele only edged out Patton Kizzire by one stroke in 2016, and Emiliano Grillo needed a play-off to beat Kevin Na in 2015. With that in mind, there is really no room for error here, so whilst the course is fairly easy to score on, this needs to be taken advantage of. An average week with the putter will not cut it, as it can become a bit of a putting contest out there at times. Each of the last four winners here have also ranked inside the top-7 for Scrambling, so sharp wedge play, particularly from the mown off areas around the greens, will be pivotal, should you fail to hit them. Missing a few greens is inevitable given their size, so it makes sense that Scrambling has been key in the past. Both times he has won at this course, Steele has come in with pretty poor current form, but Grillo won in 2015, after winning at the Web.com Tour Finals and Sang-Moon Bae had top-15 finishes in two of his last three starts, so a strong end to the previous season is clearly preferred. Bae is also the only winner at this course to shoot an over-par round and still win, shooting 73 on Sunday. Luckily he had a bit of a cushion after shooting 65-69-66 in the first three rounds, to give himself a four-shot lead heading into Sunday, but generally speaking, four rounds of par or better are needed here. All in all, good Greens in Regulation numbers, good Scrambling and a hot putter is the recipe for success this week, making it a classical test. Not a track that is going to discount half the field due to its length, there are plenty of different styles that can win here, which makes it a fair bit tougher to narrow down. Web.com graduates will be keen to get their PGA Tour seasons, or in some cases, careers off to a great start, so expect some to come flying out of the gate here. Grillo’s win here in 2015 was meant to be his breakout win on the PGA Tour, leading to bigger and better things. Whilst this hasn’t quite been the case, with the Argentine failing to add to his first win, he is a solid player and will win again soon. After winning here in three years ago, Grillo has proved since that his effort here was no stroke of luck, or a case or riding the form wave from his Web.com win on his prior start. He has finished 26th and 28th since and was just one stroke behind eventual winner, Brendan Steele last year, but a final round 77 cost him a much better finish. He is liable to throw in a bad round, as he did here on the Sunday last season, but he is also a superb ball-striker and if his putter gets hot, he will be hard to beat. Six top-10’s last season, including a T7 finish recently at the Dell Tech Championship is proof that there is plenty of talent there, he just needs to piece it all together for all four rounds. At just 28/1 he may not immediately strike as value given his win rate, but in terms of golfing ability, he is right up there in this field, and it is surely a matter of when, not if he doubles his tally on the PGA Tour. A former winner of this event in 2014, and a winner in recent weeks on the Web.com Tour, Sang-Moon Bae will be looking to return to the form he showed, prior to his enforced military service. 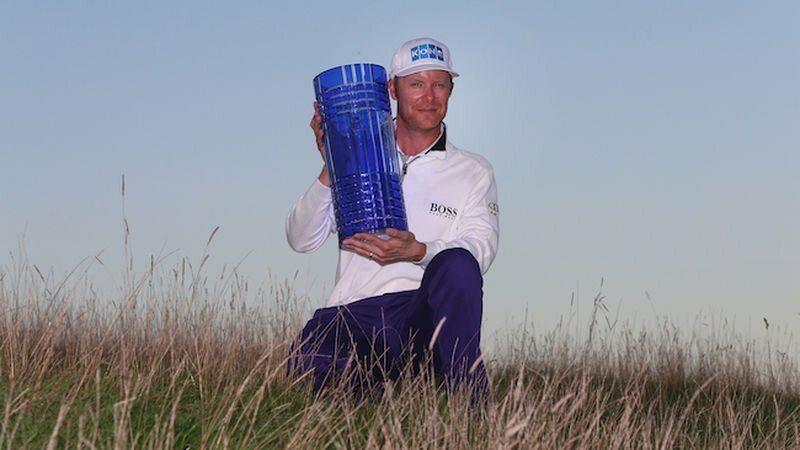 Bae returned to professional golf last season, after spending two years away with the South Korean military, and whilst he didn’t make a huge impact on the PGA Tour, he returned to winning ways on the Web.com, winning the Albertsons Boise Open last time out. That win last time out, came a week after finishing T6 at the DAP Championship and he’d made the cut, finishing in the top-45 in the two previous events as well, including at the Wyndham Championship on the PGA Tour, so he’s finding consistency now he seems to fully shaken off the rust. Before going away with the military, Bae was looking to be a promising player on Tour, winning twice in back-to-back years in 2013/14. Whilst he can’t rewind the clock and get back the two years of his career he lost serving his country, he can make the absolute most of the rest of it, as he’s still just 32. He did miss the cut here last year, but that was still early on in his return and now that he’s got the winning feeling again he should be much better prepared this time around. At 60/1 he’s worth backing, on his former win and his winning effort on the Web.com last time out. Whilst young stars such as Joaquin Niemann and Sam Burns were taking all the plaudits last year, for their efforts on the PGA Tour, 20-year-old Sung-Jae Im was quietly going about his business on the Web.com Tour. Im won the first and last event of the Web.com Regular Season, and finished runner-up three times in-between, to ensure a wire-to-wire victory on the Web.com Money List. He is the first player to do this, which is a feat in itself, but to do so at such a young age is even more impressive. Can he make the step up to this level at such an early point of his career? Time will tell, but young players seem to win frequently these days, as they seem better prepared straight out of college. Whilst he might not reach the dizzying heights that Jon Rahm and Jordan Spieth did so early on, I am confident he can win an event of this calibre, where the field is not too dissimilar to ones he was beating last year. With plenty of fellow Web.com Tour graduates in the field, as well as some lower-tier PGA Tour regulars, this will not be the toughest test he faces this year, and the course appears to suit his strengths. Im ranked inside the top-25 for Driving Accuracy, Greens in Regulation and Scrambling last year, whilst also ranking inside the top-20 for Putting, so if he can keep that up this season, he will succeed on layouts like this. At 100/1 I am more than happy to take a flier on this rising star, given the strength of field in the hope that he gets off to a fast start, as these graduates often can. If not this week, keep an eye out for Im at the CJ Cup, which is played at the course he grew up on – Nine Bridges. After a couple of years in the doldrums, Hunter Mahan found himself fighting for his PGA Tour card last season, and secured it via way of the Web.Com finals. A 6-time winner on the PGA Tour, including two WGC victories, as well as top-8 finishes in each of the four majors, it has certainly been a fall from grace for Mahan, but he is showing signs of fighting back. In four years at this course, Mahan has finished 3rd on debut in 2014 followed by form figures of 32-MC-13. Whilst his three most recent finishes don’t exactly jump off the page, his 13th place finish last year was admirable given his form struggles. If Mahan can play even anyway near his best stuff this week, on a course that suits his game he will be right up there come Sunday, as he’s proved here in the past. 17th, 2nd and 33rd in his last three starts to end his Web.com season, and seven made cuts in his last ten PGA Tour starts, including a T7 finish at the Barbasol Championship, he is clearly showing signs and hopefully he carries that into this new season. On his course form alone he makes for an intriguing play, but the recent signs, most notably that 2nd place finish at the DAP Championship, give the biggest reason for optimism.